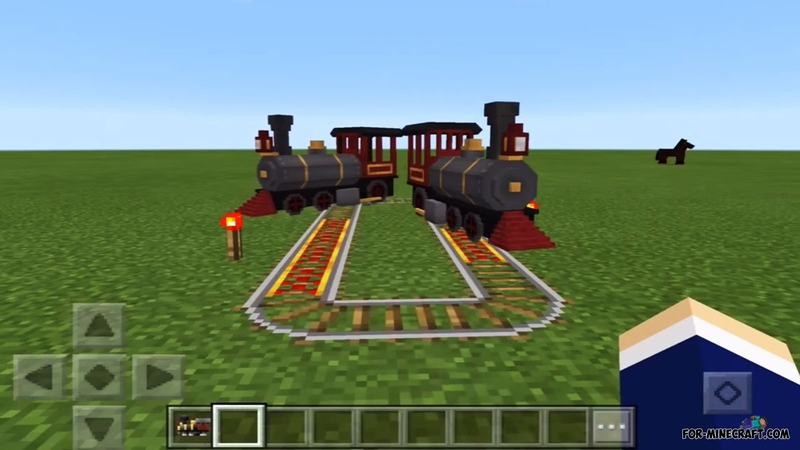 Minecarts are no longer relevant, now you can use a real train and go down into the mine or connect a house and a remote structure. 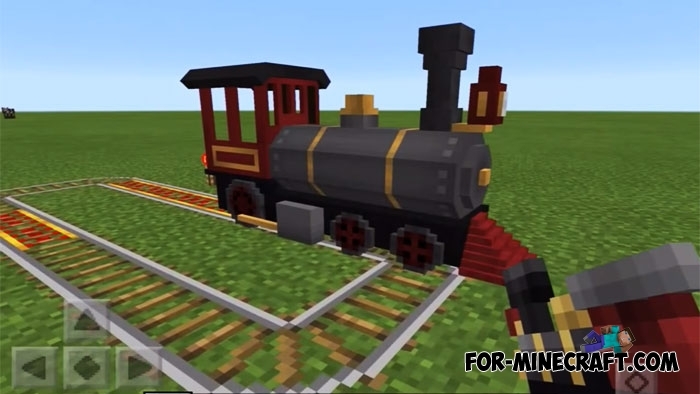 Trains have only a few differences from minecarts, but these features are much more useful and carry a lot of functions. What about the appearance of the train? It is surprisingly modeled and looks like Minecraft, so it is an excellent replacement for minecarts. 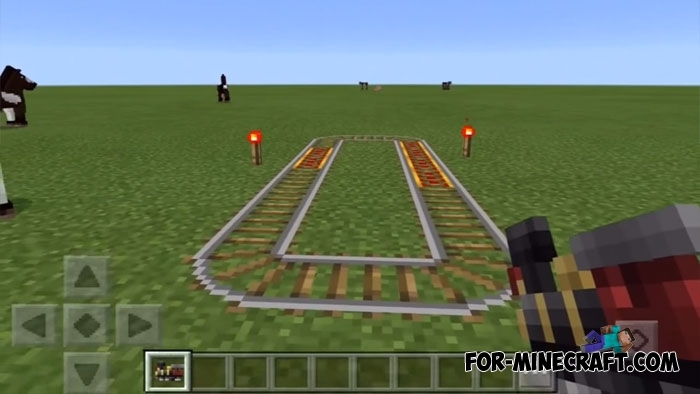 Control is quite simple, just build a railway line connecting important places and put the train on the rails (train icon). The train will start to accelerate after you sit in the driver's cab and take the coal. 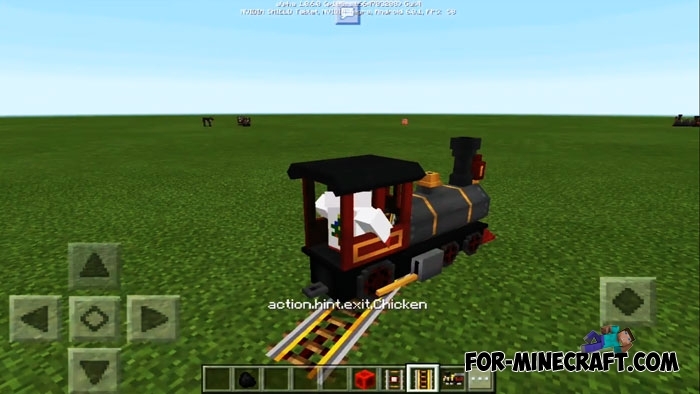 Probably this addon in some sense surpasses vehicle addons, because the railway can be laid in hard-to-reach places such as caves or mines, where the usual lamborghini can not pass. 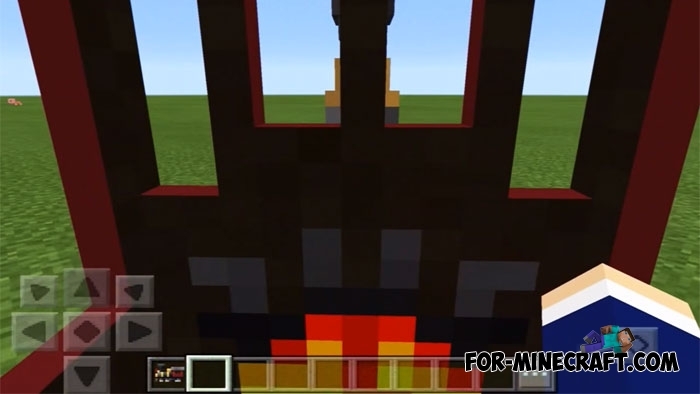 The addon is compatible with MCPE 1.2 and older versions. How to install the Train addon?